This Sunday is an important day in our school's history. Please plan to be a part of it. We would like all school students to attend Snells Beach Baptist Church at 9.30am in clean, tidy uniform as we formally acknowledge the vision, prayer and faithfulness of this church in the last 25 years of our school. During this service, members of the KingsWay Trust and NZ Christian Proprietors Trust will, with members of the Mahurangi Baptist Charitable Trust, honour both the past and the transition to the future proprietors. Your child has been preparing to participate in a song, and 4 girls have been practising a beautiful dance, which is also your first taster of the Snoops production being performed on November 25-26. We understand that a few of you have commitments that require you to be in other churches, but let's make an all out effort to be a part of this historical moment, to pray for the school, and to celebrate new horizons together. The church is very generously putting on morning tea for us all after the service. This Wednesday (4th November) the College is having a half day. Our school bus will take students to Warkworth Primary and then to the Library. The bus will not be going to the college at all. Could you please make arrangements to pick up your child(ren) from one of those places. We need 4 wireless microphones. If you are happy to ask your church or organisation, or give a donation towards Horizon School microphones, we would love to hear from you. We are currently needing help with the sewing of costumes. The costumes are simple designs, and don’t require a high expertise in sewing. Please let Helen or Louise know if you are able to help. We are currently still working through the rebranding for Horizon School. As part of that process, the colours for the school may change. We are currently considering whether to change the school uniform. We would love to hear your comments about the current uniform (the good and the bad). Any changes would have a long change over period. A survey will be emailed out separately to the newsletter. Complete the order form here and send $4 to school this Friday for your child to have Fish and Chips with jelly and fruit. An order form will be sent home again this week. Meeting finishes by 3pm so you can collect your children straight afterschool. Orders are due back to the school office by Wednesday 04 November. 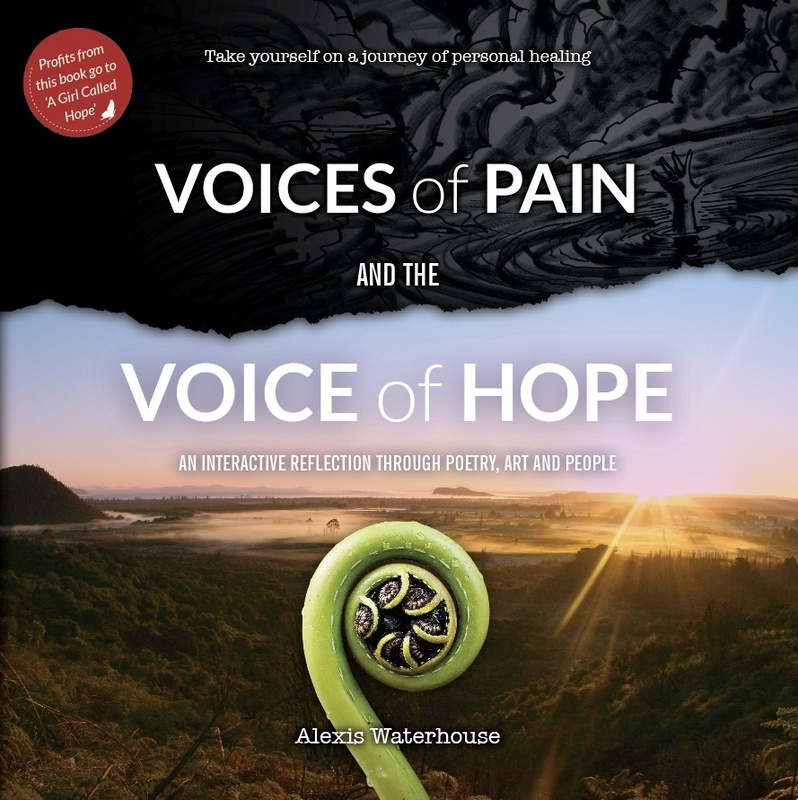 Alexis Waterhouse has recently published a book called Voices of Pain and the Voice of Hope. 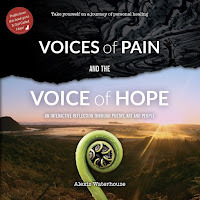 It is a visual, textural and emotional journey through pain to hope. It is designed to expose the lies (or patterns of negative thinking) that entrap people suffering through emotional pain or mental health issues. Days/Dates: Friday evenings (November 6 to December 18).5:30pm – 7:30pm. Age: Year 5-8 (some dispensations can be made). Equipment: Please provide Kiwi Cricket set (or part of). A team/club/PE uniform is encouraged but not a necessity. Personnel: Parents/teachers/coaches are required to help with managing, umpiring and scoring.